Some 10,500 people in northern Central African Republic (CAR) have received emergency food supplies from MSF. Since 22 December, teams have distributed nearly 100 tonnes of food in seven locations where displaced people are sheltering. These include the areas of Kabo, Gbazara and Moyenne Sido. Most people fled their homes in the violence which engulfed the country two years ago, and have been unable to return since due to continuing insecurity. We decided to carry out the food distribution, which is not a regular activity for our medical teams, as a preventive action, after detecting that the displaced people were receiving insufficient rations. The UN’s World Food Programme (WFP) recently raised the alarm on the lack of funding for CAR, which has forced it to cut food assistance by almost half. “We saw that the situation for many of the displaced people was very fragile,” says Maria Simon, coordinator of MSF’s projects in CAR. “Food distributions are not something that we do as part of our regular activities. The WFP had planned to provide assistance to 700,000 people in CAR in the coming year, before a funding shortfall forced it to halve the quantity of rations each person receives, and to limit its target to just 400,000 people. In response, the UN’s humanitarian coordinator agreed to release US$1 million of emergency financial assistance to WFP for CAR, but this will still not cover people’s current needs. 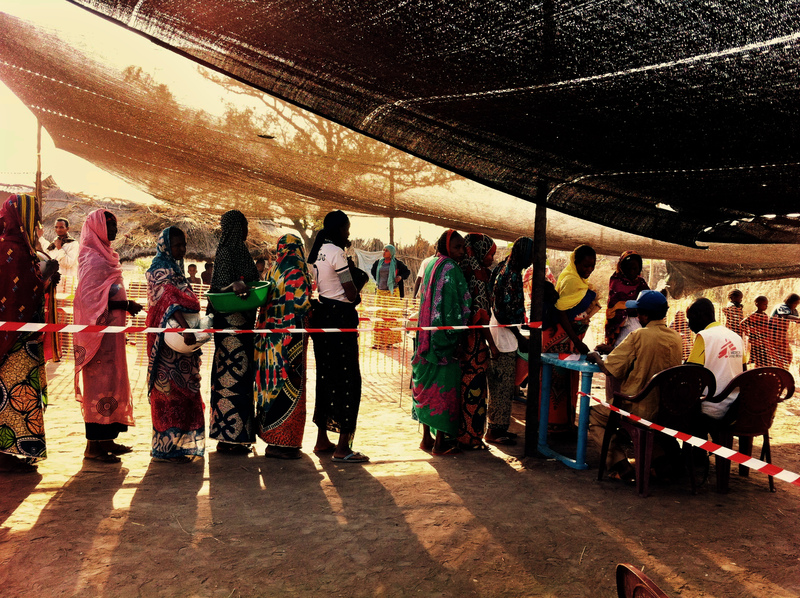 An estimated two million people – or 40 percent of the population of CAR – are in need of food assistance. 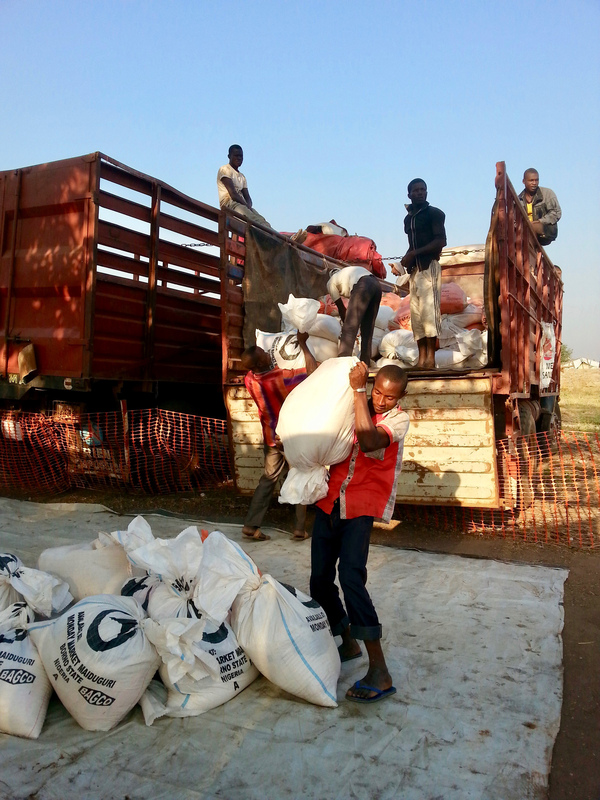 Each of the 2,000 households to whom we distributed food received 36 kg rice, 5 kg beans, oil, salt and sugar. At the same time, our medical teams carried out ‘preventive’ activities to protect people’s health, including vaccinating almost 3,000 children under 15 against common childhood diseases. Teams also checked their nutritional status, tested them for malaria, carried out deworming and gave them vitamin A supplements. Pregnant women were also vaccinated and given supplements of iron and folic acid. “These are people whose coping mechanisms were exhausted long ago and whose situation is getting worse,” says Simon. “We are witnessing suffering caused by a humanitarian crisis and a conflict that has not abated. "Much more needs to be done now by international donors, agencies and non-governmental organisations working in a country that has already had more than its share of suffering and neglect." We have been working in Central African Republic since 1996, and currently have more than 2,400 Central African staff and 230 international staff working in the country. Since 2013, we have doubled our level of medical support in response to the crisis. At present, we have around 20 projects in the country, where medical teams provide free healthcare, including paediatric care, routine vaccinations, maternal healthcare and surgery, as well as treatment for diseases such as HIV and tuberculosis.